This weekend marks Remembrance Sunday, and Rememberance Day on Monday. This year marks 99 years since the start of World War I, and as part of the reflections, I always find the last post almost more evocative than the silence – a true reflection of the power of music. If you want to take some time to reflect, you can listen to the last post here. Get Real about Music Careers (The Musician’s Way) – Some harsh but true thoughts about what kind of music careers are out there. How to catch up if you miss a choir rehearsal (Chris Rowbury) – From a new blog I’ve discovered, here’s some key tips on what to do if your winter cold keeps you from making it to choir practice. Learning to Learn: Part 1 – Forget Me Not! (Music Teacher’s Helper) – A rather in depth post that talks about how we learn. The Truth About Piano Students With Learning Challenges (Teach Piano Today) – a great post with ideas for any young student with concentration issues, learning difficulties or just a challenging personality. Tips that way beyond SEN students. 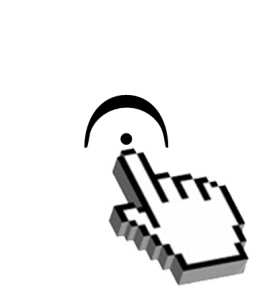 The Doctor Teaches the Piano Teacher (Compose Create) – A thought about what piano lessons are really paying for, and whether that means we can really have a 24 hour cancellation policy. There’s a link for a great leaflet explaining where music tuition fees go too. You Know That Awkward Moment Before They Break Down In Tears?… (Teach Piano Today) – Some key tips for teachers to stop the struggle moments before they happen! This entry was posted in Friday Favourites, Regular Columns and tagged friday favourites on 8th November 2013 by .